Cutting an organic cake at Parliament today marked the 75th anniversary of the Soil & Health Association, one of the world’s oldest organic organisations. 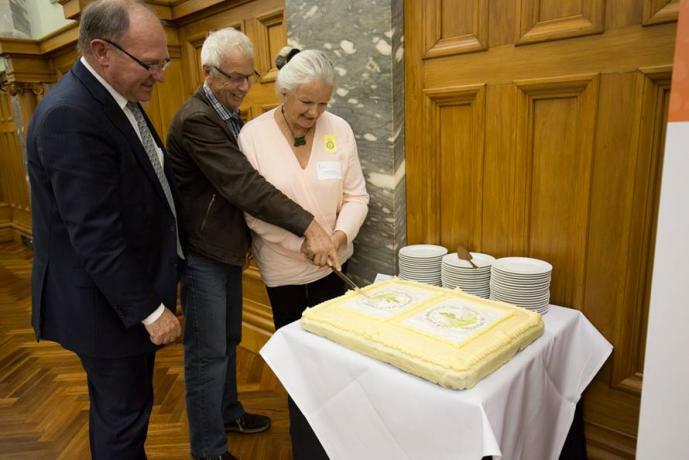 The cake ceremony was a highlight of the launch of the OANZ 2016 New Zealand Organic Market Report. “We’re so proud to be part of a movement that is championing healthy soil, healthy food and healthy people,” said Marion Thomson, co-chair of Soil & Health. According to the Organic Market Report, two out of every three Kiwis are buying organic products. The organic sector in New Zealand has grown by 11% per annum every year since 2012, being driven by consumer demand, which is outstripping supply. Organic grocery sales through supermarkets have increased by 127% since 2012. “More and more people are looking for organic food, which gives assurance that it is safe, healthy, environmentally conscious and GE-free,” said Marion Thomson. “The report is a powerful validation of the growing strength of organics when it comes to Soil & Health’s legal cases, as we defend the rights of communities via their councils to retain the right to be GE-free, or determine the use of any outdoor GMOs in their areas,” she said. The Soil & Health Association has, since it was founded in 1941, promoted organic gardening and farming methods, healthy food and good nutrition. 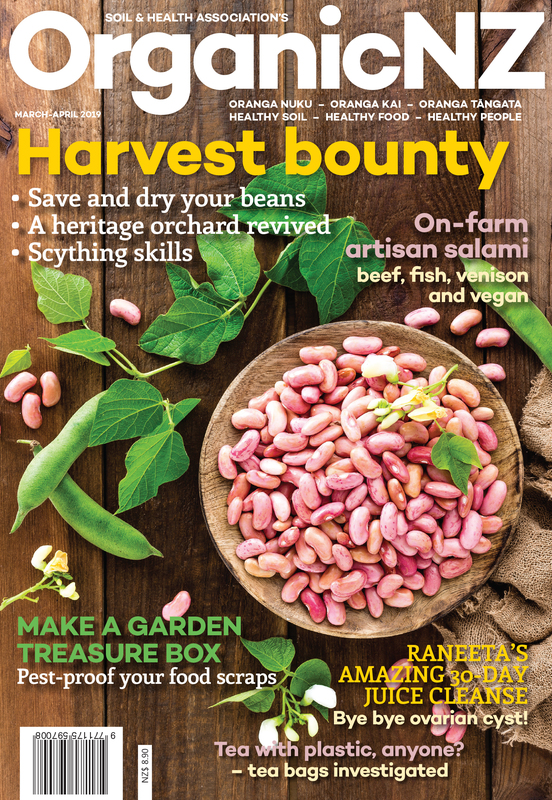 It is the largest organic membership organisation in New Zealand, and publishes Organic NZ magazine.